The first- and longest-lasting bank in the Omaha-area was located in the Florence neighborhood of North Omaha. Although its gone now, its legacy is still felt in the community and its original location, the Bank of Florence, is now open as a historical snapshot for the entire community. Built in 1856, this is the Bank of Florence at 8502 North 30th Street. In 1854, a group of wildcat investors quickly built the Bank of Florence on First Main Street in the pioneer town of Florence in the Nebraska Territory. Called Cook, Sargent and Parker, the same group invested in another real estate speculation about four miles south in the boom-and-bust town of Saratoga. They’d intended to make a healthy profit off both towns, but when the Panic of 1857 emptied out the value of their bank, the company failed. However, business partner James M. Parker (1824-1902) kept the bank open until 1860. The Bank of Florence was essentially an investment scheme. After building a two-story brick bank, Parker moved in upstairs to stay by his business. When he closed up shop in 1860, Parker stayed near town and the family continued to make its name felt. This is James Monroe Parker (1824-1902), a pioneer banker, farmer and real estate mogul in Florence. After the bank closed, he bought a lot of land around Florence through a company called Mitchell and Cable. The Parker family farm was important to the future of the town, too, as it grew south of Florence. The family stayed there into the 1870s, traveling to Europe several times and developing the family mansion, once located at 3021 Vane Street. 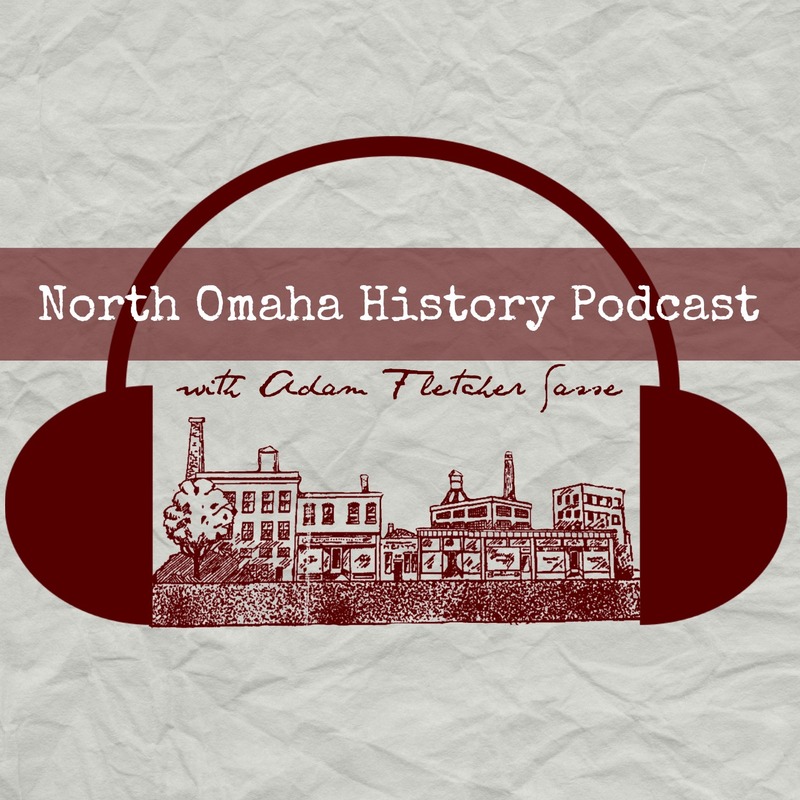 Parker’s son Fred became a notorious Bohemian figure among Omaha’s wealthy and elite. Featuring wild opium-driven soirees with nakedness, costume masks and crazed all-night long parties, the Parker Mansion was built out as an opulent Moorish art studio run by Fred until his death. Between the time the first bank closed and the second one opened, the original building was used as a horse stable, grocery store, dry cleaners, antique store, and as the Florence Telephone Exchange building. The exchange was moved to the second floor in 1904, when the New Bank of Florence opened on the first floor. That new bank was called the “New Bank of Florence,” and was organized at the same location and claimed the same heritage as the original bank. However, it folded in 1930 because of the Great Depression. Seven years after it was reorganized in 1932, in 1939, the Bank of Florence changed its name and moved from 8502 North 30th Street, to become the Bank of Florence at 30th and Ames. This is an 1856 three dollar bill from the Bank of Florence. The Florence Pioneer Days were centered on the old Bank of Florence for more than 50 years, starting in 1960. From the 1940s through 1966, Zerlina Brisbin Lewis (1889-1995), the great-granddaughter of James M. Parker, owned the building. She donated it to the Florence Lions Club in 1966, which reserved the first floor for club meetings and used the second floor as storage before converting it into an apartment. This is a August 19, 1951 drawing of the North Side Bank when it was rebuilt at 4536 North 30th Street. This building became the Commercial Federal building. In 1974, the North Side Bank considered restoring the original Bank of Florence at North 30th and Willit Streets as a teller office. They submitted paperwork to the State of Nebraska Banking Commission and developed an analysis of whether it would be a profitable location. They also had options on land to the north with intentions to use it for drive-up banking. However, the plan didn’t pan out and the bank wasn’t reopened. That same year, the Lions donated the building to the Florence Historical Society, which found the entire second floor messed up. By 1976, they renovated the Bank of Florence building and opened it as a seasonal museum, which it still operates as today. J. M. Hart, Jr., the president of the North Side Bank, served as president of the Florence Historical Society during the renovation, sustaining the bank’s connection with the site. The second floor has been restored to appear as James M. Parker left it when his family moved to their farmhouse on present-day Vane Street around 1860. He and his wife’s actual bed is there, along with many other fixtures from the era. This is a 1971 pic from inside the North Side Bank at North 31st and Ames Avenue. The North Side Bank changed, and then changed again, and then closed permanently. A firm called the Preferred Management Corporation took control of the bank in 1977. In 1985, the North Side Bank was renamed as Northern Bank, and continued operating. American National Bank bought the institution in 1994, and the Ames Avenue location became a branch of American National. Today, that bank continues operating at North 31st and Ames. “Bank of Florence National Register of Historic Places Inventory – Nomination Form” 10/15/1969. A wildcat bank built by speculators, the Bank of Florence failed in the panic of 1857-58. The building was occupied by various businesses until 1904, when the “New Bank of Florence” was organized there. This second bank of Florence closed about 1940. This is a 1950s matchbook cover featuring the North Side Bank at North 31st and Ames Avenue. The Near North Side Bank was rebuilt at 4514 North 30th Street in 1939. This is the garden at the North Side Bank, located at North 31st and Ames Avenue, in approximately 1963. Several North High students are sitting around.